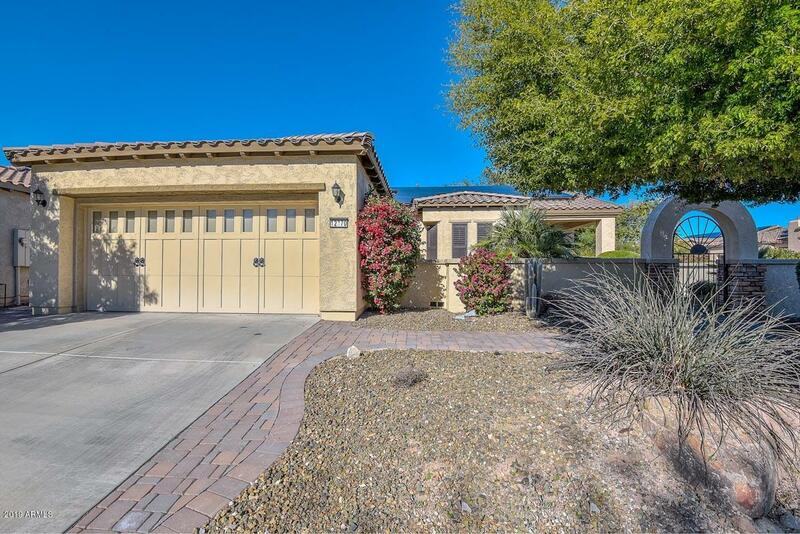 All SUNSET RIDGE AT TRILOGY A homes currently listed for sale in Peoria as of 04/23/2019 are shown below. You can change the search criteria at any time by pressing the 'Change Search' button below. "A MUST SEE, this outstanding completely upgraded home on a corner park like setting! The Novus floor plan is a magnificent open floor plan with beautiful upgrades. The master and guest suite both have remolded bathrooms. There are ceiling fans in all the rooms. An inviting gated front courtyard with pavers. Plush carpet in both Bedrooms, plantation shutters through out and new soft close Birch cabinets in the kitchen and bathroom along with upgraded granite counter tops and back splash. 24' of i"